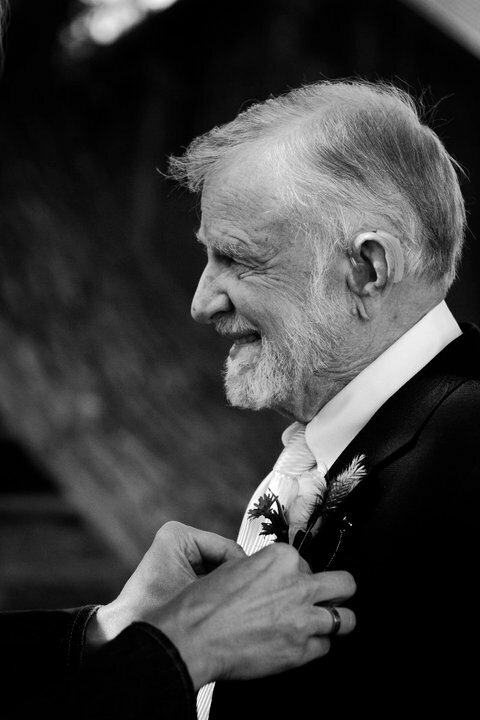 On the evening of June 20, 2015, Robert F. “Bob” Morgan, died in the arms of his wife, Gen. He was surrounded by 4 generations of his loving family. Bob was born August 20, 1929 in Helena, Montana to John P. and Catherine Morgan. He spent his early childhood at Stansfield Lake in the Helena Valley. Bob attended school at Warren, Bryant and Central Schools. He graduated from Helena High School class of 1947. In the fall of 1948, Bob married his “bride”, Genevieve Basti. This September would have marked 67 years together. On Bob’s 20th birthday in 1949, their first child, Jeanne was born, followed by Bob in 1951, Tim in 1955, Tom in 1957 and Susan in 1963. Bob is recognized as a noted Montana Western Artist and Historian His career included design and display at Fligelman’s Department Store, assistant curator, curator and acting director of the Montana Historical Society. He was also involved in planning and design for various museums in Montana and Arizona. Bob was an avid outdoorsman and enjoyed hunting and fishing. He loved the Carroll College Saints and Helena High Bengals. He was a staunch supporter of all of his children, grandchildren and great grandchildren’s various activities. He was a lifelong member of the St. Helena Cathedral Parish, the Elks Club, and the Ancient Order of Hibernians. He was co-founder of Northwest Rendezvous of Art with Jack Hines, fellow artist, who died the same evening as Bob. He was blessed to “ride into the sunset” with one of his best friends. He is survived by his children, Jeanne (Mike), Bob (Carl), Tim (Colleen), Tom (Jean) and Susan (Dana); grandchildren, include, Rick, Drew, Jon, Josh, Sarah, Mary, Joe, Katie, Erin, Pat and Anna, and 14 great grandchildren. He was preceded in death by his parents, brothers, Roy and Jim and baby sister, Anna. Memorials are suggested to: Montana Historical Society, 225 N. Roberts Helena, Montana 59601; Montana Talking Books Program, 1515 East 6th Avenue Helena, Montana 59601 or to the Dialysis Unit C/O St. Peter’s Hospital 2475 Broadway Street Helena, Montana 59601. To offer a condolence to the family or share a memory of Bob please visit below. My condolences to Gen and all of his friends…and a sincere thank you, Bob, for saving so much of Helena’s history through your art. Mine and my family’s condolences to your entire family. I remember all the laughter Bob brought to Mom while working at the Monanta Historical Society. Also all the good conversation between our families. I’m shocked and saddened. Our hearts ache for your loss. Bob will always be remembered with fondness. He lit up this world with his humor and kindness. Thank God he was a part of our lives. It was our privilege to have known him. Mr. Morgan’s art will continue to illuminate Montana’s history and spark imaginations for generations to come. A number of years ago Bob Morgan led a tour of the Charlie Russell paintings at the Montana Historical Society. Mr. Morgan’s insights into Russell’s genius were profound and entertaining. An extremely intelligent man who was blessed with a delightful sense of humor. It was a privilege to have had the opportunity to hear him speak. Heart felt condolences to the family. It was an honor to have known Bob. He was a special friend of my dad’s, Eddie Barbeau. He will be truly missed. Bob painted my grandfather a antelope many years ago while having lunch when they were both stationed at Ft. Harrison. I have that wonderful painting framed. I feel honored to have that in my house. He was such a nice man! Such a kind, gentle, humble man! A great artist who shared with others! my deepest sympathy Gen and all the family. Bob was a dear friend, a boss, a comrade in arms and one of the greatest people I have ever known. In the early years, he was my mentor during Guard drills and I learned so much from him. His artistic talent was so huge and the things he could do with simple items was wonderous. I loved him like a brother and Montana and the rest of the world will miss this wonderous person. Please accept our family’s most sincere condolences. Bob’s life is an iconic representation of the best this world has to offer. His art speaks volumes to the embodiment of goodness through love, family and community. We were blessed to have shared this space with him. Faith, hope and love for all of the Bob Morgan family. Bob was a true treasure, of the treasure state. Bob was such a gifted artist, and his knowledge of art, and personality was super, at promoting and keeping Montana history alive. Such a generous soul, with enthusiasm for life. May peace and blessings surround you and your family during this time. The boys in the class of “47” are warmly welcoming Bob, to the new team. I remember visiting Mr. Morgan with my father, Marc, many times, during the organization of Montana’s Centennial Train, and thereafter at the Museum. He was a gem! Condolences to Gen and the family – I feel to blessed to have known Bob ever since coming to Helena in 1999 – he was an amazing man who did so much for Helena in his lifetime. He was a great friend to the Helena Chamber and supported it through many paintings done for the organization. What a true gem Bob was not only for Helena but for Montana! A great, great man – now he will be “painting” the heavens with his renewed vision eternal! Love and prayers! member. My sincere sympathy to the family. My condolences to the family; I’m sorry for your loss. Bob always acknowledged a Hello to him and a firm handshake. He worked with my Grandparents at the old Fligelman’s years ago. 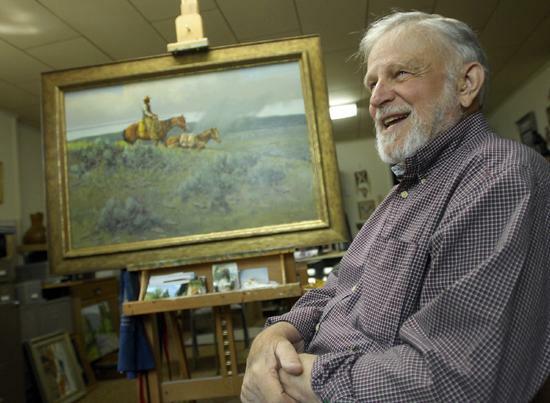 His paintings of the many Helena areas and building leave fond memories and a legacy for those who never got to see the old Helena as we knew it. Thank you for that Bob, and may you RIP. It is with sadness and smiles that we think of Bob today. He was generous to a degree that is seldom seen, and that generosity was, in turn, a gift to the Helena community and to the state of Montana. In addition, the family that Bob and Gen raised have continued his tradition of dedication, and that is the true indication of what he taught. Thank you, Bob, for all you did. Condolences and prayers to the family. Love and peace to the family. He will never be forgotten- not just for his wonderful art but also for the family that carries on his legacy. We have been gone for so many years, but his pictures have remained a valued connection to home and Helena. He will be missed. We will all miss Bob and the twinkle in his eye he always had. I had the great pleasure of sitting next to him at a meeting at the Civic Center while working on the Western Rendezvous. He was doodling at the edges of his notepad, and at the end of the meeting had produced a beautiful little illustration. He would use the same note pad at each meeting, so he had pages of wonderful drawings. Oh, and he did take a few notes as well, but not many! He was delightful company and a great artist, historian and story teller. be missed by many, but mostly his wonderful family. How much our family treasured sharing a story or two with Bob after a Cathedral Mass on Sunday mornings. What a wonderful joyous love of life and love of Montana he shared with all who were fortunate enough to know him. What beautiful memories, captured in paintings, he leaves for generations to come. A man of faith, a man of talent, a man of genuine character and kindness, generous without limit, a great example of a life well-lived. We are blessed to have known Bob, and to know so many of his family. Our family will keep your family in our prayers in the coming days. May Bob’s soul, and the souls of all the faithful departed, through the mercy of God, rest in peace. Sorry to hear of the loss of your father. I will keep all of your family in my prayers. My prayers are with the Morgan family.Mr Morgan was an interesting man to listen to and visit with.I’m glade that he choose to share his work with all of us. We will all miss his stories and paint of colors. I have known Bob for over forty years as one of the many artists who benefitted from his tireless and selfless efforts to create the wonderful NWR art show. My deepest sympathy goes out to Bob’s family. Know that many, many of us are feeling the loss of this great man. Jim and I are so sad to hear about your loss. Don and I just learned of Bob’s “riding into the sunset.” What a blessing he was to so many here in Helena and elsewhere. I am especially grateful to him for the wonderful support he provided to the Holter Museum of Art our first years. He and his other volunteers graciously spent many hours hanging the paintings. The Helena exhibit he curated brought in thousands of visitors. Bob, always with a smile and happy to share his talents. Know that Don and I send our love and sympathy to each of you. So sorry for your loss. He was a wonderful artist. Tom and I send our thoughts and prayers to each of you. We still have the carousel horse your Dad drew for the junior prom at Helena Central. We are so sorry for your loss, and treasure the “Bob Morgan” cathedrals that hang in our home. To the whole Morgan family: my thoughts and condolences to you. You are so fortunate to have so many wonderful memories that will never go away . I have fond ones from years ago! Love and hugs to all. To Gen and family and friends – I was just a Butte know-it-all when I first went to work at MHS. What a great welcome he extended to me. I was immediately comfortable. Bob and I were great friends from then on. He helped me and the Society so much in my time there that it would be futile to try and list them. Helena has lost it’s greatest citizen. Montana, too, has very few to compare. Kind, good humored, generous. He was all of that. I will truly miss him. Now you can paint the sunsets for us. I am very sad to hear of Bob’s passing. My granddaughter was visiting Carroll College when the painting of Reason Through the Light of Faith was unveiled. Many years since I had seen Bob but he remembered me. I have a copy of that painting and my late husband Bud bought several of Bob’s paintings which I treasure all of them. Words are always so hard at a time like this. We will all miss Bob dearly. I am thankful that we will be reunited in Heaven for an eternity with Bob. I am also thankful that the 3 brothers Jim, John and Bob are all now peacefully together again sharing joyful time together. We know that Bob made the most out of his lifetime, enjoyed and loved us all. To Gen and all of the children, my thoughts and condolences go with you now with warm wishes to you all for the very best life can bring here in the future. What an honor and a pleasure it was to meet Bob and work with him through the Western Rendezvous of Art. Born on a sunny day! My condolences and best wishes to his family and all of those who loved him. Prayers and condolences to Gen and all the Morgan family. A Mass for Bob’s intention will be offered at Saint Mary. Mr. Morgan did a workshop at the historical society for children. My daughter participated in one of those workshops. Mr. Morgan observed her work and asked around “whose daughter does this young girl belong to?” I raised my hand and he pulled me aside and said to me ” this child is a natural what ever you do not have her take lesson just let her be”. While I had pressure from my friends to put her in art lessons, I took Mr. Morgans advise. I had a mother tell me I was a horrible mother for not letting her take art lessons. I remembered what Mr. Morgan said and let her be. Years later her while she was a senior at Helena High I had one of her pictures frame. It was one she drew of her dog Sam. She drew it from her heart and the Ghost Art Gallery called me up to ask who the artist was and I told them my daughter, they did not believe me. When I picked it up Mr. Morgan was dropping some items off and I was able to show him the picture. His advice to me let my child be a kid and explore her own talents. Today she is a successful industrial Art designer for Burtons snow Board company. He will never know the part he played in her life. I thank God for people like Mr. Morgan who made a difference in my daughters life. God Bless you all and Thanks for letting him share his talents with others. Please accept our condolences in this time of sadness. Bob was such a vibrant part of our community and will be missed. Peace be to all of you, his loving family. To Jeanne and the entire family I extend my sincere sympathy. Bob was an amazing artist, a kind man and one of the true gentlemen of his time. His wonderful smile will be greatly missed. Helena has lost a legend and Montana has lost a treasure. I want to offer my deepest condolences. I worked for Bob in the late 60’s when I was going to Carroll. I observed first hand his curator skills and knowledge of art. Many memories of good times, and my inspiration for western art. To Gen and family – I worked at Carroll College for many years and during that time Bob helped us out during the Auction. He was a very generous man. Also a very talented person. The Helena community will miss him, however, he has left behind many great and wonderful memories. God’s blessings.